The Knight Stalker: Read on for a chance to win!! My favorite memory...thats very hard. I went to Silverwood quite a bit when I was younger (when only the Corkscrew and, back then, the Grizzly where there) as a friends sister worked there and would always give us tickets. We had a blast and it was an awesome part of my childhood. A more recent memory would be 4yrs ago. My brother worked there and got all of us in with his tickets. At the time my daughter was 4mo old. I remember floating the lazy river with her while she slept. It was the perfect time to relax with a newborn and keep cool! My favorite memory is of when my fiance' took us for our one year anniversary. (: we wete in the boulder beach park when we were riding thw big tube ride when he fell ouy of the tube! Hehe. Our favorite Silverwood memory is when we went two summer's ago. There are several but one is when we turned our backs on the green waterslide. And going on Tremors and feeling the need for a chiropractic adjustmentlol. My favorite memory is taking my kids for the first time and my daughter getting soaked on the big tube ride! My favorite memory of sliverwood is riding the rain every yr! We took our son on it last yr and he loved it we even got a pic the he keeps at his bedside. And after the train we always go to the candy shop! Its not summer without it! So far, the best memory was taking my children on Tremors for the first time...the looks they had in the picture are priceless! I have a lot of favorite memories at Silverwood. One year I went with my friend Jenna and we had a blast playing in the kiddie park at boulder beach. She is afraid of rides so I didn't get to go on too many of them, but we also had our pictures taken in the place where you dress up as western folk. This was in my early 20's and I still have the picture! WAY back when Silverwood's main attraction was the log ride my Grandpa didn't know to duck at the end and he got TOTALLY soaked! He was such a sweet man and I think of him every time I ride the log ride! Paige A. My favorite memory was my first time going to scary wood!!! I nearly peed myself I got scared so badly from those clowns. Growing up we went to silverwood 3 hours away and was always worth it. Now I bring my kids and share the memories and make more. My favorite memory is taking my son on the train for his first time and seeing his reaction to the "thieves". His eyes got really big and he actually was excited about it lol. Taking my kids for the first time many years ago is my fave memory. My favorite memory from silver wood is four years ago me and my best friend Katie bought a teddy bear from one of the shops and the whole day she wore it on her head, well the silverwood workers on the train ride played along with it all day every time they seen the bear on her head the said "mam calm down there is a wild animal on your head!" and would "shoot" it. It was literally the best day ever. What a great blog you have here and I look forward to following. My favorite memory of Silverwood center around family. I have only been twice, but once was with my brother (who I am not all that close to). It was a real chance for us to reconnect as we played all day in the water park. I will always remember that day. The other time was with my two girls who absolutely love the place and beg to return. Hopefully soon. Thank you for the cool giveaway. It's been a long time since I've been to Silverwood, but when I was about 10 years old I went with my friend to the park. It was when the Grizzly roller coaster was just opening. We waited over 4 hours in the hot sun just to be able to enjoy a 2 minute ride. It was well worth it and we had a blast! the first time I went over 20 years ago now. it wasn't much more that a few rides and a zoo. I remember the train ride and the "bandits" loved it still do. Keep up the wonderful postings everyone! For those of you who have enjoyed Silverwood in the past, it's a pleasure to read about the favorite memory which comes to your mind; thank you so much for sharing such a personal experience! For those of you who have never been to Silverwood, please comment away! After reading my blog, visiting Silverwood Theme Park's website, how about sharing what you look forward to experiencing in your visit to Silverwood? Again, big thanks to all of you for sharing! 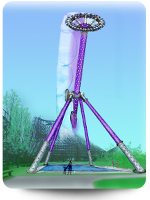 I am thrilled to host Silverwood Theme Park this week on my blog. This is not something I have ever done before, being an Author, I typically profile other Author's work, or my own. But, with my personal experience with Silverwood, I felt I had to share with others - and give them a chance to visit! Big thanks to Silverwood Theme Park, their management, and the wonderful Jordan, for helping to make this happen! My son Alexander was in the magic show and after the show was over Nick Norton gave Alex a souvenier picture and ribbon which he threw on the stage and ran off. lol we got it all on video it was hilarious! I've never been, but would love to take my girls! My favorite memory at Silverwood is actually from ScaryWood with a huge group of friends for my sweet 16! Everyone was soaking wet within the 1st hour, and then we were continually scared over and over! Can't wait to go back! Best birthday ever! My favorite memory is the fun family time I have had with my family there and being able to forget everything else going on for a day. I have never been to Silverwood and I think it would be a great experiance to go. Heard it was lots of fun. 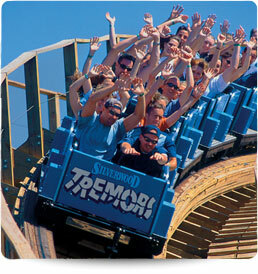 My favorite Silverwood memory would be from right after they opened...going with the whole family. Such a beautiful place! My favorite memory was from this summer. We took our two little boys to the park for the first time. They had so much fun riding the froggy ride and playing at Boulder Beach. They have asked me every day since we went when are we going back? Love to take them again! My favorite memory about silverwood is when I was in sixth grade we got to take a field trip to the park.it was most memorable to me because I got to spend the whole day with all my friends running around the park ridding rides laughing and enjoying ourselfs . I've never been to Silverwood, but would LOVE to take my daughter there!! My favorite and only.time to.silverwood was taking.my.then.2 year old for 4th of July with.friends while my hubby was deployed. I loved spoiling him.there with rides, candy, ice cream and toys! water was a little.chilly then, bit hope to be.there with my husband.too this time and warmer weather! My favorite memory is the one and only time I've been there -- My friend took me there on a summer break, we had a blast on Tremors my first roller coaster and I fell in love with the Lazy River and wave pool... so amazing and I hope I can go back one day. Thanks for doing this giveaway. I've never been to Silverwood. But I really want to go with my friends. We're from Seattle so we'de be taking a road trip. I would be a fun experience for sure especially after reading your blog. 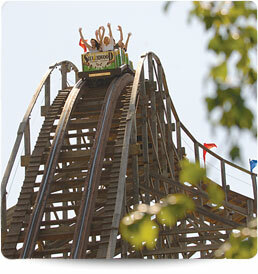 What is your favorite memory at Silverwood Theme Park? I think my favorite memory was visiting the park when boulder beach had just been added. It was such a great day to spend with my family & forget every worry I had. I swam almost all day and when it got darker I went to Coaster Alley! I rode until the park was closing and I didn't want to leave! I hope I get another chance to relive all the wonderful memories Silverwood has brought me. One of my most favorite memories at Silverwood Theme Park is watching the magic show for the very first time! 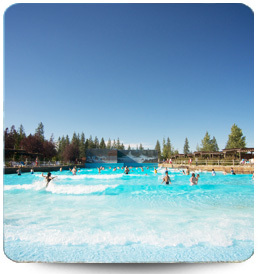 My favorite part about the silverwood theme park was taking my son into the wave pool for the 1st time. He had so much fun that he didn't want to leave that area. What a fun and memorable day that I will never forget. 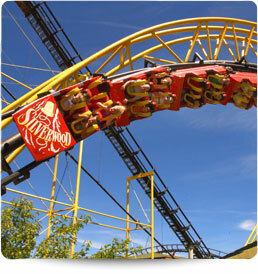 have never been to Silverwood theme park tho we only live 20 miles from the park. would love to make memories. looking forward to our first visit to Silverwood later this month!! Silverwood was the first theme park I ever went to. My grandparents took my sister and I when we were around 10 years old and that was the greatest experience in the world. We also when another time when we were older and Boulder Beach had just opened. Now that I am married I so want my husband to experience this park! Then that will be my favorite memory! Family coming in Aug. would be a wonderful day! Going with my family in late august. Silverwood is the best park in the pacific northwest.